And that’s because, while a fresh surge of “1” energy can inspire change and ignite your abundance, it can also feel like drinking from a fire hose if you’re not properly prepared. 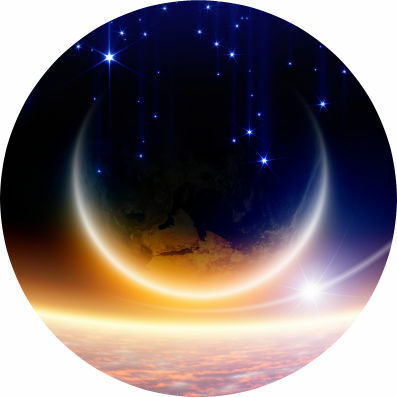 Mix in the multiple planetary retrogrades, eclipses and harsh astrological alignments that flavored the first half of our year, putting your forward momentum in reverse, and there’s really no wonder it has been a struggle. And this powerful cosmic configuration crescendos on 7/9 with the Full “Thunder” Moon in Capricorn. Yup, you’ll head into the second half of 2017 with a BANG that will explode your ambitions and drive even more. Woooo eeeee! The first half of the year was slow, but now the shackles are off and the delays are behind you. Watch our quick video below to discover 5 simple steps for harnessing 2017’s “1” Universal energy and setting your abundance ablaze before the year is gone. 0:09 – The single most searingly urgent equation of 2017. 0:54 – What you didn’t know about the number 1, including secret words that add up to “1” in numerology. 1:19 – Why 2017 is off to a rockier start than you expected. 1:43 – 4 powerful cosmic events that will turn your year around (right away)! 2:28 – A surprise announcement. 2:52 – 5 simple steps for harmonizing with 2017’s Universal energy before it’s too late. 3:29 – The ONE thing all good numerologists do before making ANY major life decisions. 4:06 – How to interpret the seemingly random number messages that appear in your daily life and environment. 4:21 – What you must do now to ensure your come out on top this year.